The latest version of Apple’s OS X El Capitan is gathering pace. At least on an internal level. Apple has today taken the development of OS X El Capitan to the next stage by releasing a fifth beta seed of 10.11.2 El Capitan to both with registered developer accounts and public beta testers. The availability of this particular seed represents yet more progress as the Cupertino-based company looks to find itself in a position where the latest version of the platform is deemed ready to be officially issued to the public. 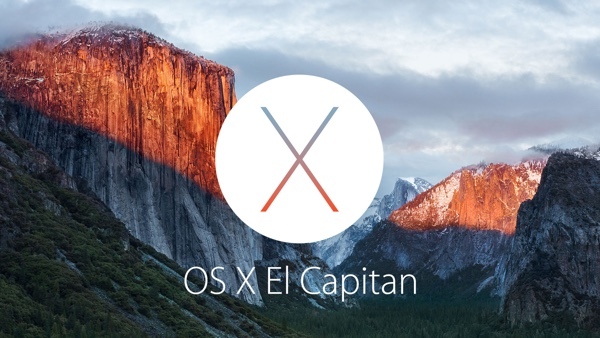 This fifth seed of OS X El Capitan follows on nicely with Apple’s release schedule for the platform. It comes approximately two weeks after the fourth seed was introduced to testers around the world, and represents a month’s worth of releases since the currently publicly available OS X 10.11.1 El Capitan was issued via the Mac App Store as an update for El Capitan. This latest beta comes attached with build number 15C48a, and carries the same extremely brief accompanying notation that we are used to seeing with all beta builds of this nature. It’s highly unlikely that Apple will embark on any process at this stage of the development that would see any real exciting additions added to OS X 10.11.2 El Capitan. Like the betas that have preceded it, the fifth OS X 10.11.2 beta appears to come equipped with more under-the-hood and internal improvements over anything else. Apple is keen to continually progress the efficiency and performance that users receive when working with OS X, paying particular attention to the performance levels of the platform when being utilized on a power-limited MacBook or MacBook Air. With that in mind, it’s expected that this latest minor improvement will feature a number of security enhancements, bug fixes, and internal performance improvements that have been fed back to Apple through the support systems that are in place for developers and testers. Like previous pre-release versions of OS X 10.11.2, Apple has requested that those interacting with the latest beta focus on Networking, Graphics, the native Mail app, Calendar functionality, connectivity via USB, as well as a number of native apps like Photos, Reminders and Notes. As always, this latest beta is available as an over-the-air update in the Mac App Store for existing testers, and from Apple Developer Program portal for those installing for the first time.